Kerala Contemporary House Design in 1830 Sq.ft, which can be finished in less than 32 lakhs. 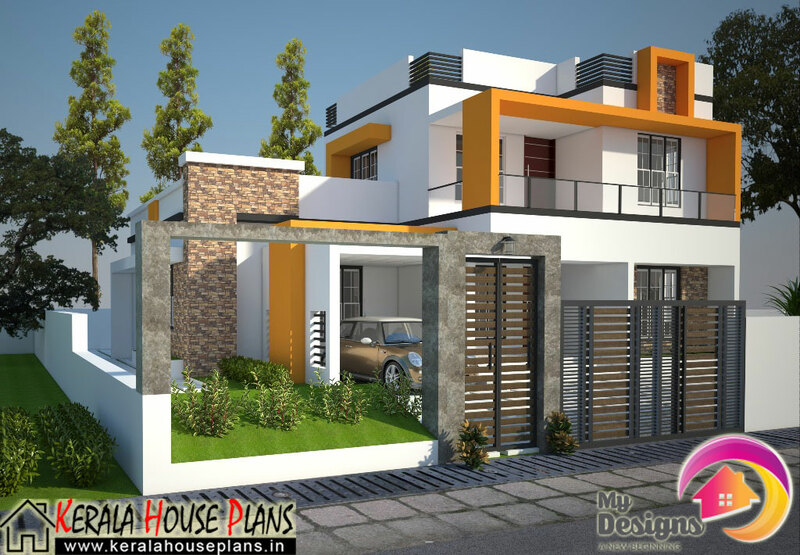 Ground Floor of this Kerala Contemporary House Design is 1130 Sq.ft which includes Sit out, Drawing&Dining room, three Bedrooms with two attached bath rooms and one common bath room, Kitchen and Work Area. First Floor area is 700 Sq.ft which includes Upper Living, one bath attached bed room and Open Terrace.